If you think outdoor decorating and designing is limited to concrete, stones, plants and trees, you are wrong because there are so many exciting things we can do to an outdoor area. We can always add fun features like a pool, a bird bath, a fountain, an artificial pond and others. 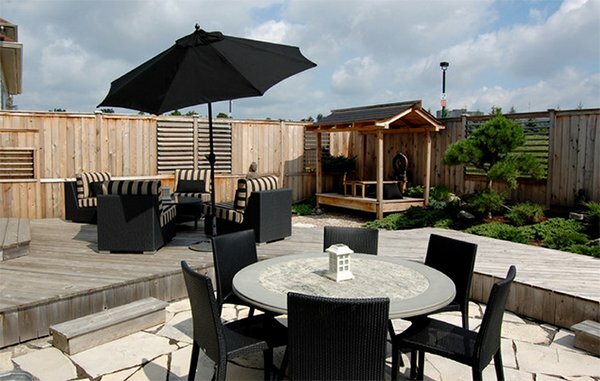 Lighting is vital too as well as structures like pergolas, gazebos and others. 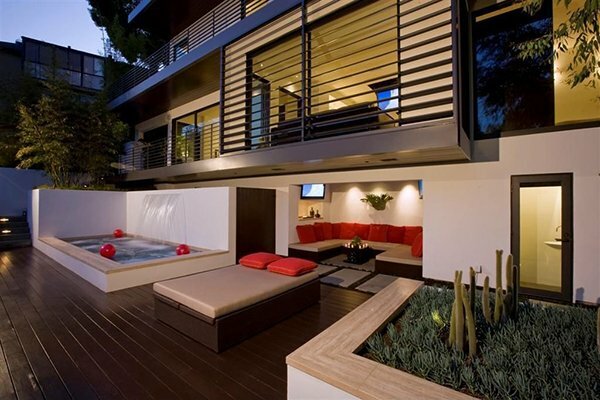 Most outdoor areas would have a deck. On this deck is where the above features can be seen. So, today we will show you decks with an Asian theme. 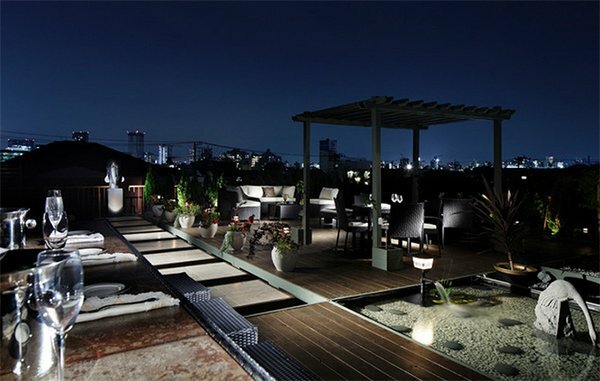 It manifests that the decks were decorated and designed in a manner that it exudes an Asian look. A deck is a structure of planks where other outdoor perks are added like a pergola, hot tub, benches and others are added. You can take a look at some Asian decks below and see how nature and culture were fused in them. An astonishing Asian inspired outdoor space for a home in South Africa with visual splendor no one can resist. A space showcasing the amazing connection of nature and culture. 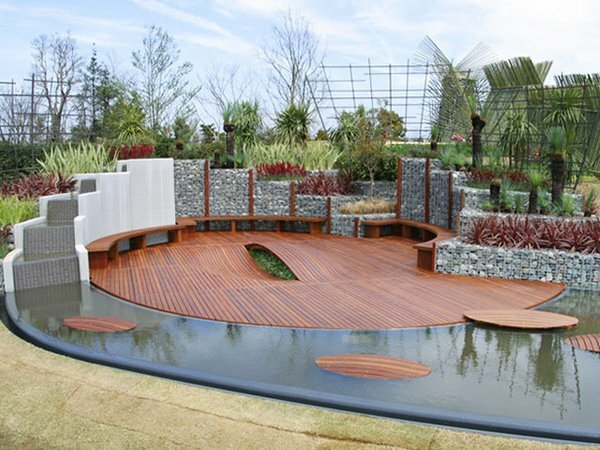 Ipe hardwood deck and potting bench is used for this Japanese garden deck with a water feature. 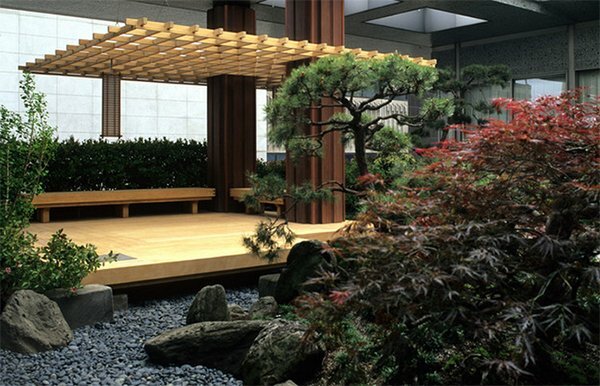 A cut out deck with a wooden wall hanging that shows some Zen touches in it. The deck has stones around it while the wall with a moon window adds more Asian appeal to it as well as the monk sculptures. 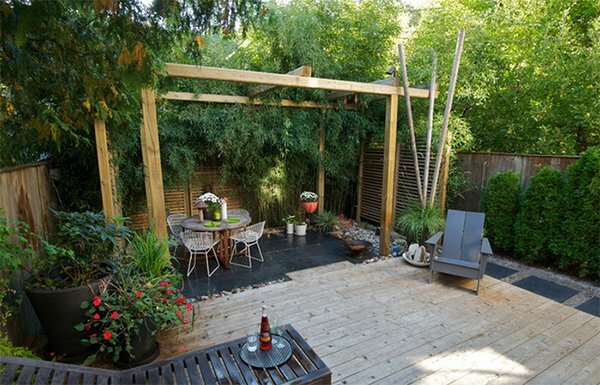 A beautiful outdoor space with a pergola and an elevated wooden deck. 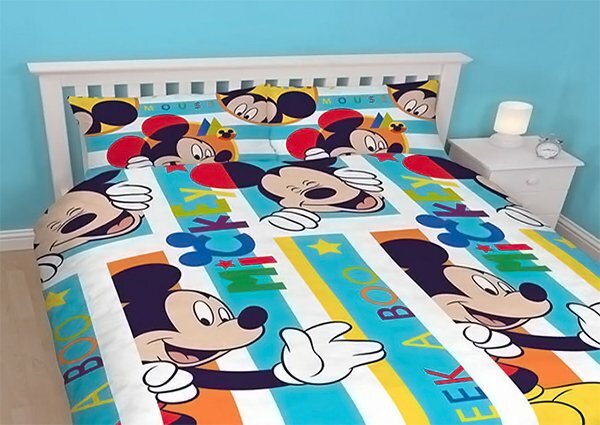 The overall look of the area has that Asian appeal. 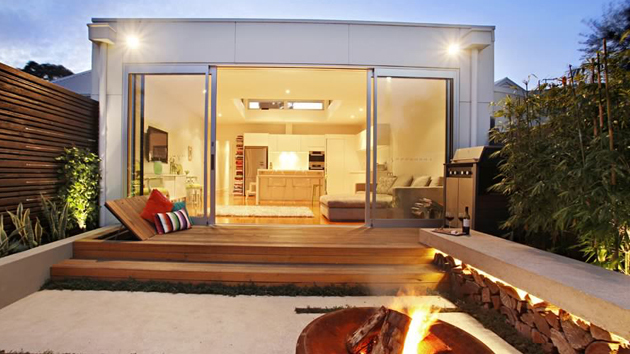 A low deck with a pergola attached to it and white flowing curtains for a more Zen experience. Custom copper diamond shingles top an ornate Chinese tea house on a roof-top oasis. The space has that Asian look that will make us feeling very relaxed. 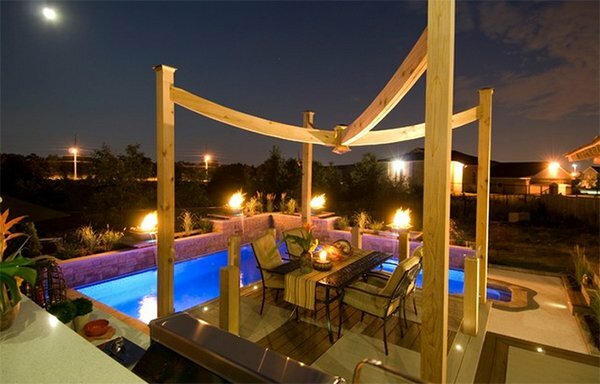 It is not just the pergola that is beautiful in this rooftop but even the fire pits as well as the light that add more drama to this Asian pool deck. 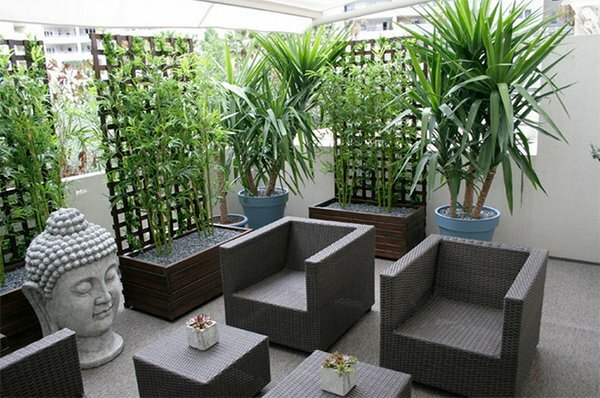 The wicker furniture looked perfect with the standing trellis and the Buddha head sculpture. 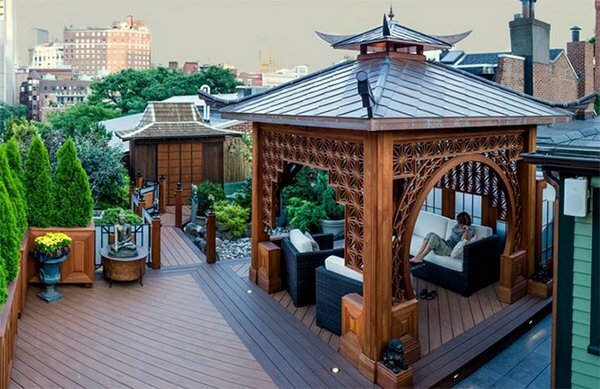 Love the design of this deck with an Asian and Oriental fusion! The curved walk and the truss details are really stunning. 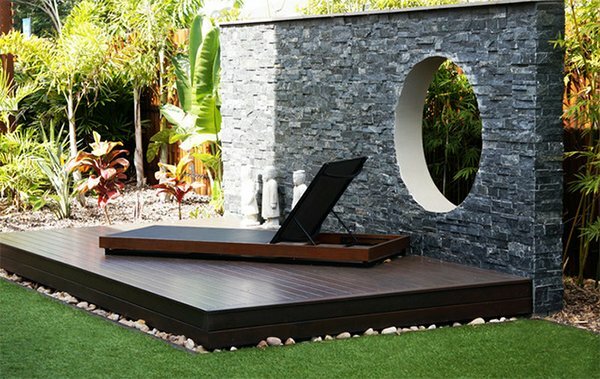 Beautiful day bed and outdoor furniture completes the look of the Asian pool deck with different sculptures and plants on it. 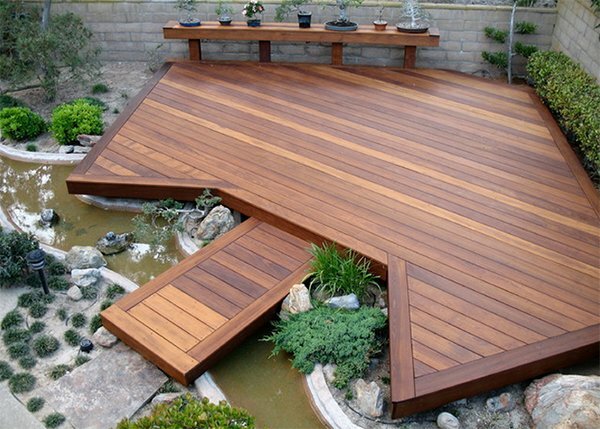 A beautiful Asian deck that can be accessed using timber steppers floating just above the surface of the water. Love that “peeping” plants under the wooden deck! 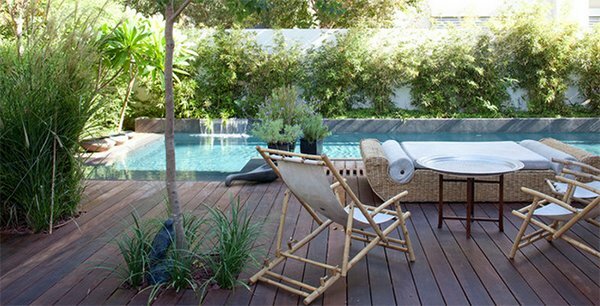 A wooden Asian deck with bark mulch on the ground and round steps for more Zen appeal. 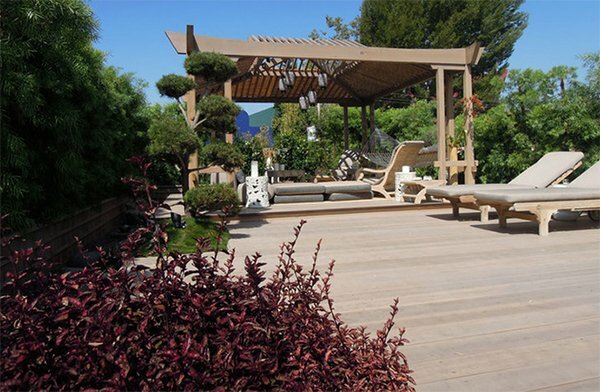 A beautiful pergola on a wooden deck surrounded by a variation of plants. 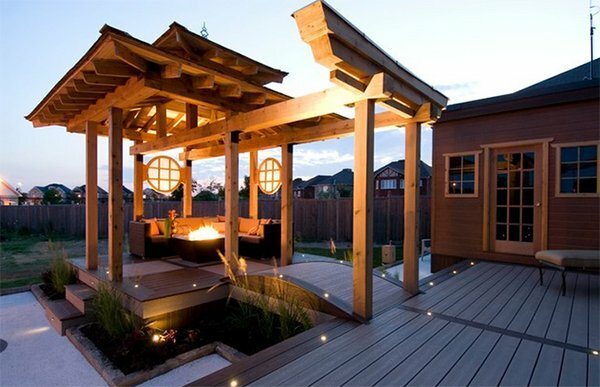 This Asian deck has a gorgeous design and layout that has a seating area, a pergola and even a pond. 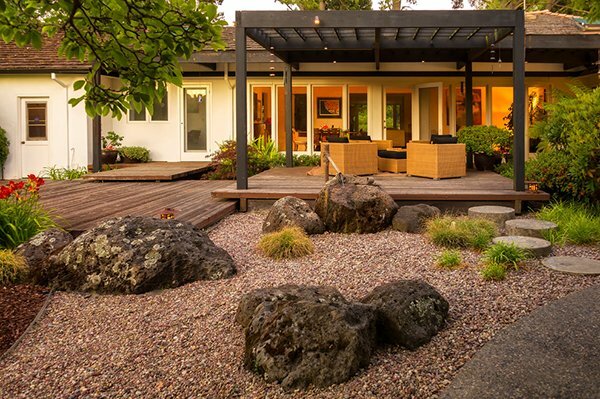 A harmonious backyard with an Asian landscape and wooden materials used from the deck to the little cottage. Such a stunning and relaxing space with a hot tub. It is seamlessly connected to the interior spaces too. 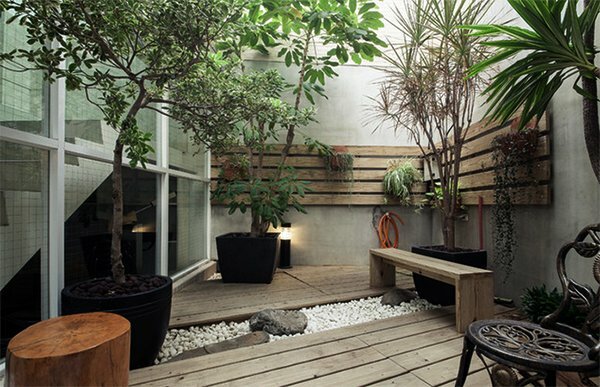 Varying surfaces and levels define this outdoor space with a subtle Asian touch using bamboo. 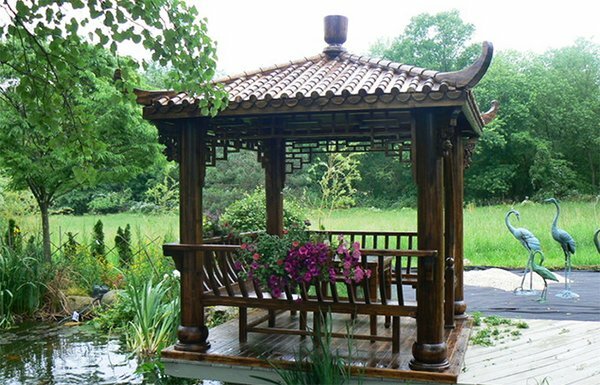 It isn’t just the waterscape that we want you to see here but how the deck ends with a lovely gazebo with an Asian design. I know the Asian hints of the above decks are very obvious. There are Buddha sculptures and other designs that really show an Asian or Zen feel. Even the type of plants and how they were distributed in the areas were fit to the theme. When you are in an Asian space, you feel more relaxed because of the connection of Asian culture to nature. I know you will agree with me because we can all sense this in every Asian space especially when it is actually outdoors!